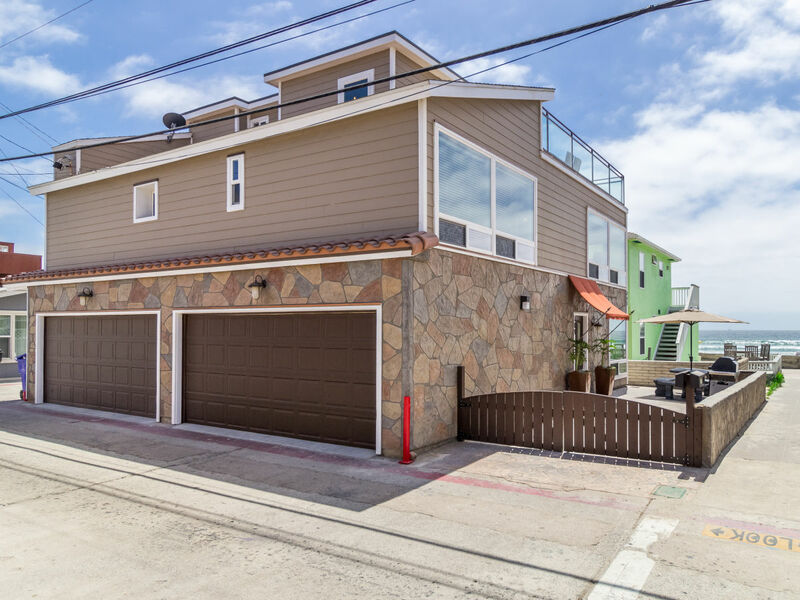 This wonderful beach retreat located just one house off the ocean was recently remodeled from head to toe and offers everything you possibly need for a comfortable and fun vacation by the beach. 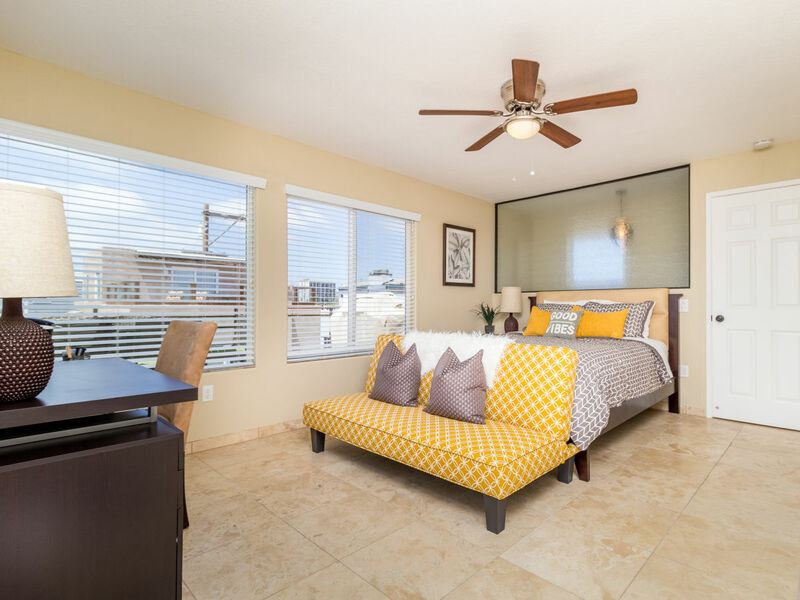 Our Tangiers Duplex is situated west of Strand Way, in the heart of North Mission Beach. The house is just steps to the boardwalk and the sand - there is no road or alley to cross. Walk out the front door and your feet will be in the sand within seconds. 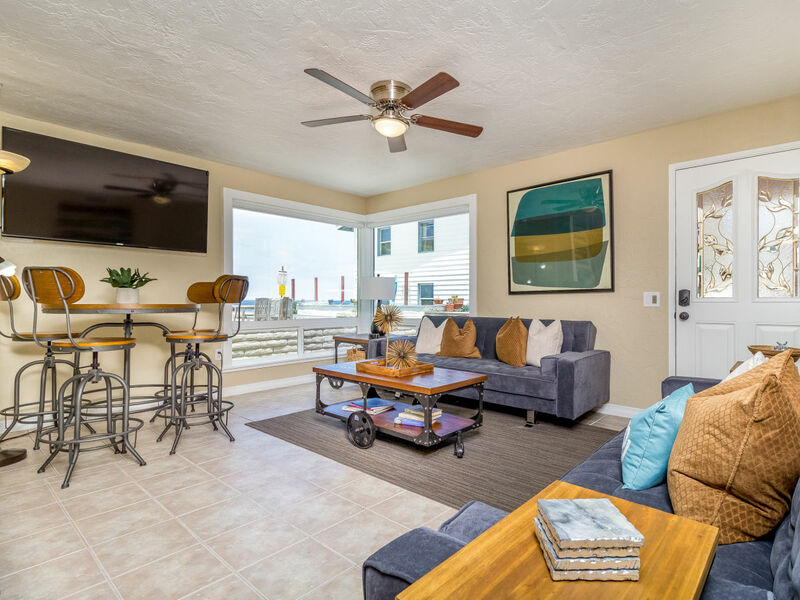 Being one house off the boardwalk allows for more privacy yet you are close enough to watch all beach activities and listen to the sound of the waves. 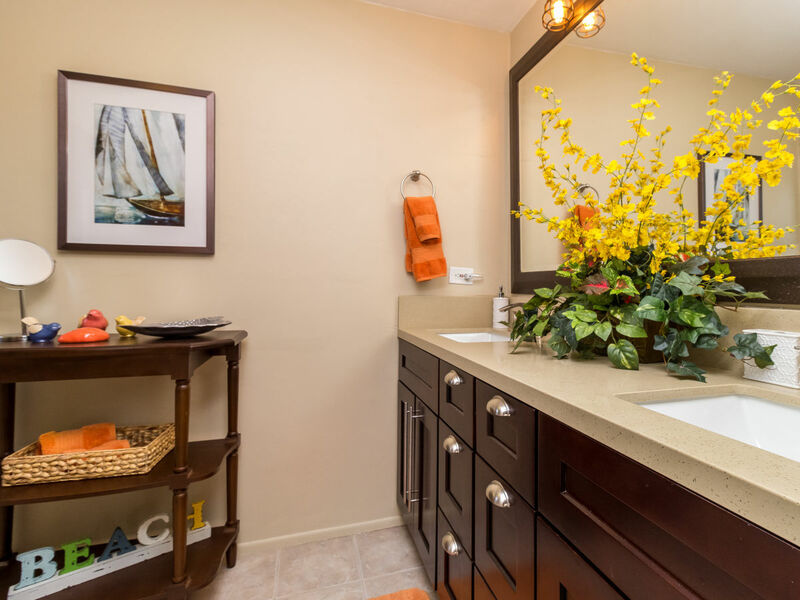 The home offers 2 separate units each with 3 bedrooms and 3 bathrooms. 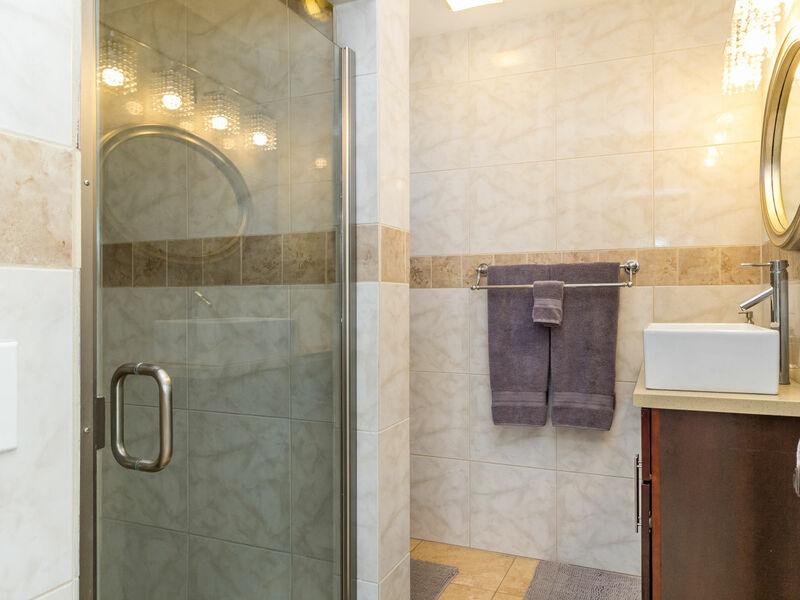 Enjoy the luxury of central AC and the most beautiful whitewater views from three levels. Each unit comes with a roomy 2 car garage (side by side) which is large enough for a minivan or large SUV plus a small sedan. Each garage is 7'high, 18'deep,15.9' wide. There is also a washer and dryer onsite. You enter the freshly remodeled upper unit on the 2nd floor. 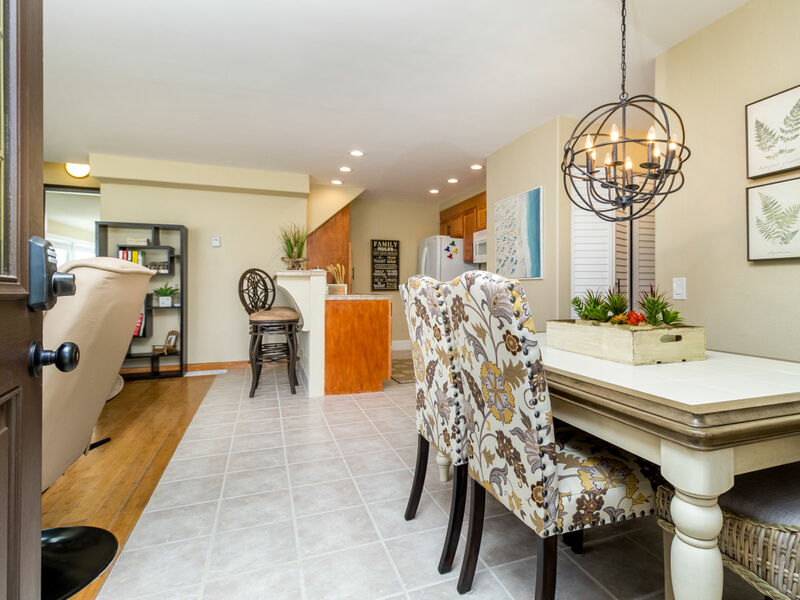 When walking in, a bright and open floor plan awaits you with dining, kitchen and living area. 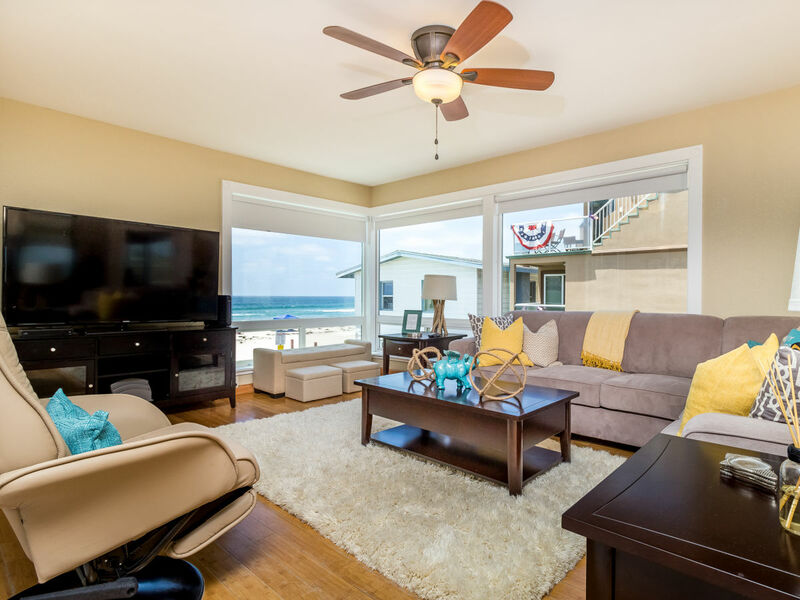 The Living room features a new sofa-sleeper, mounted LCD TV, and spectacular views of the beach and boardwalk. You can people watch from the comfort of your couch. 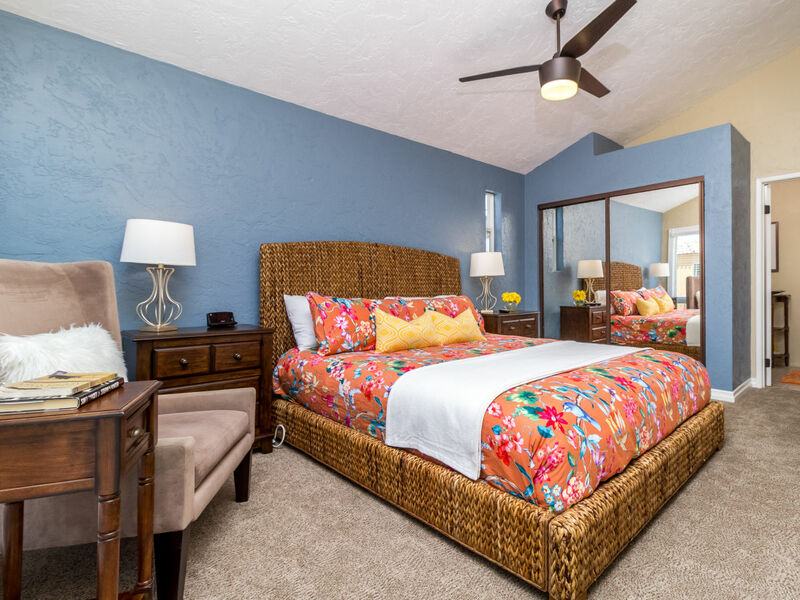 Off the living room is a master suite with king size bed, vaulted ceiling and private bathroom. Off of the newly remodeled kitchen is a full size washer/dryer, bathroom and second bedroom with bunk beds (full and twin). Go up the stairs to the third bedroom which is also a master suite with a queen bed and private bathroom, perfect for a couple looking for early morning views and late night stargazing. French doors open to a very large deck, with table, chairs and BBQ. While it’s beautiful to wake up to this incredible view, the deck is big enough to accommodate the whole group for a nice gathering to watch the sunset or enjoy a meal from the grill with an afternoon BBQ. 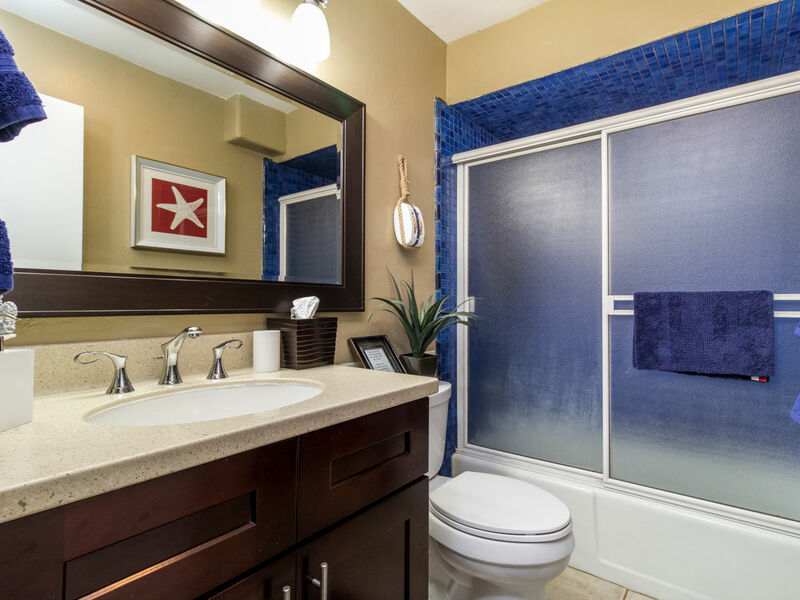 With views stretching north to La Jolla, south to Point Loma and east over Mission Bay, this is the perfect place to enjoy watching a pod of dolphins, a beautiful ocean breeze and the Sea World fireworks show each night! 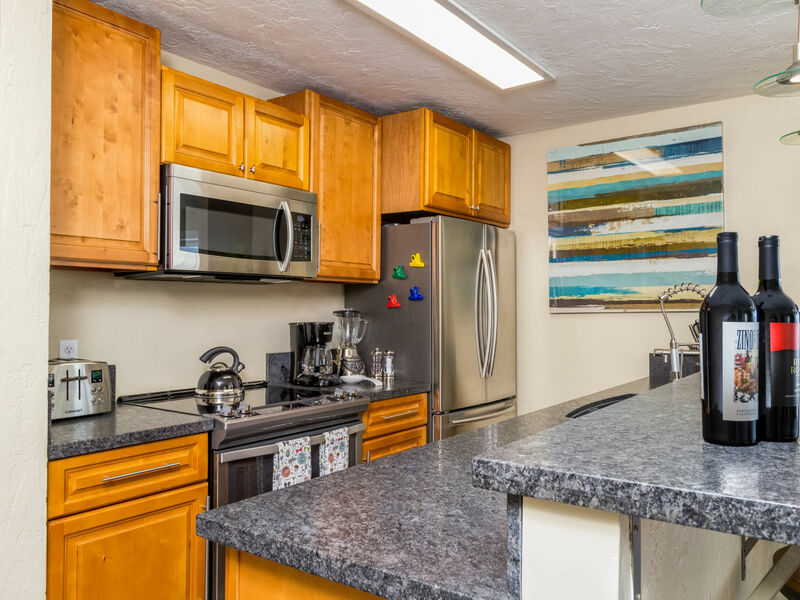 Enter on the 1st floor to a freshly remodeled unit, with brand new kitchen. Living room features a dining room table, comfortable sofa sleeper, mounted LCD TV, and spectacular views of the beach and boardwalk. You can people watch from the comfort of your couch! 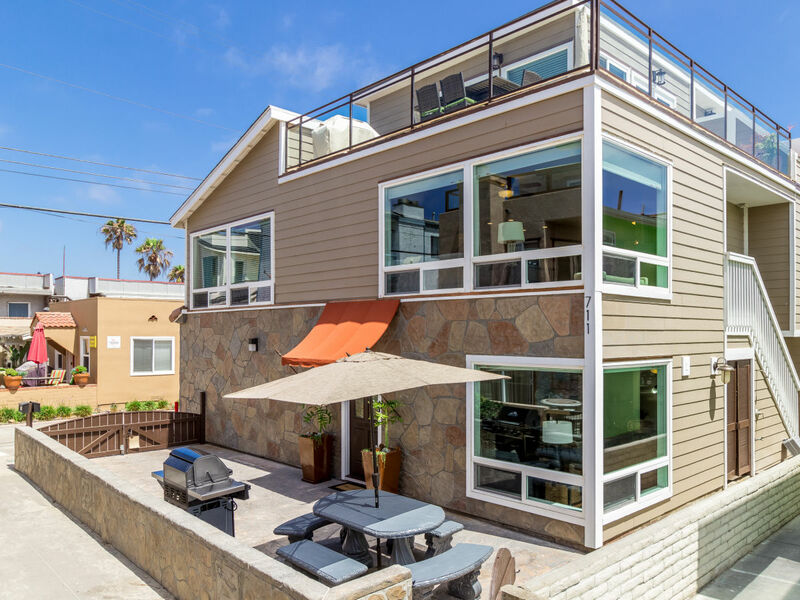 The 1st floor patio is big enough to accommodate the whole group for a nice gathering to watch the sunset or enjoy a meal from the grill with an afternoon BBQ. 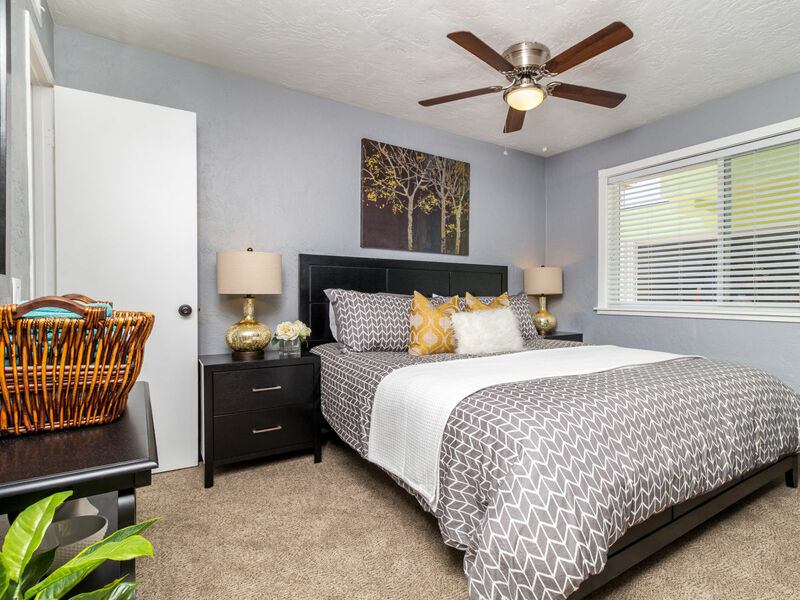 Off the living room is a full bathroom and bedroom with king size bed. 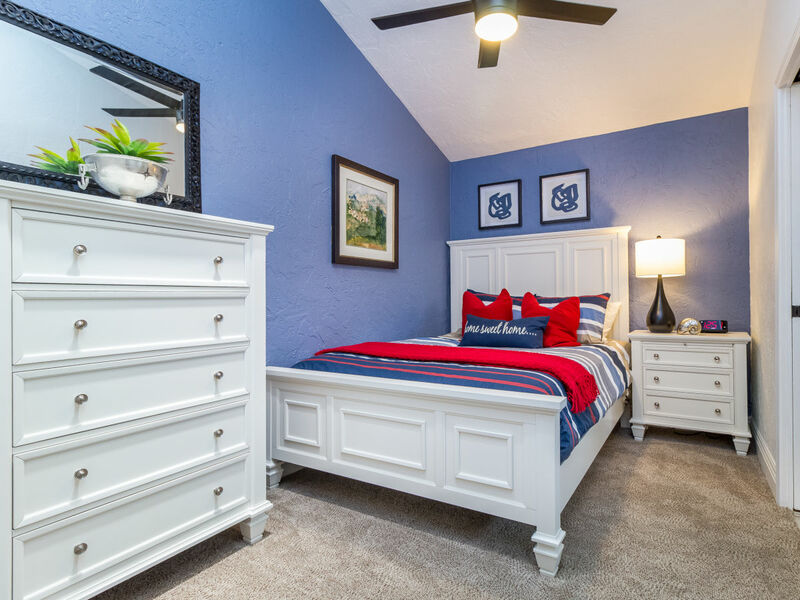 Go up the stairs to the master suite with vaulted ceilings, queen bed and private bathroom. 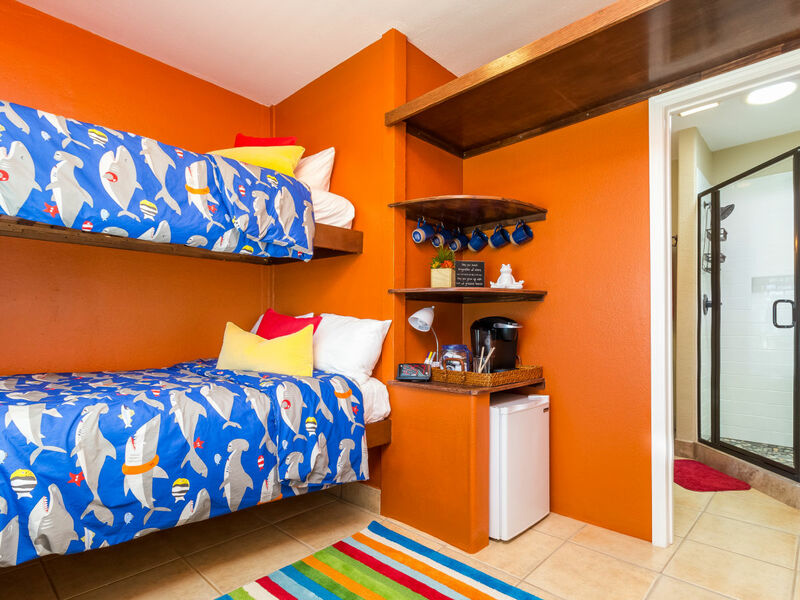 Go up the second flight of stairs to the third "Crow's Nest" bedroom which features a bunk bed, (twin and full) bathroom with shower and deck that is perfect for enjoying a cup of coffee while you watch the waves. 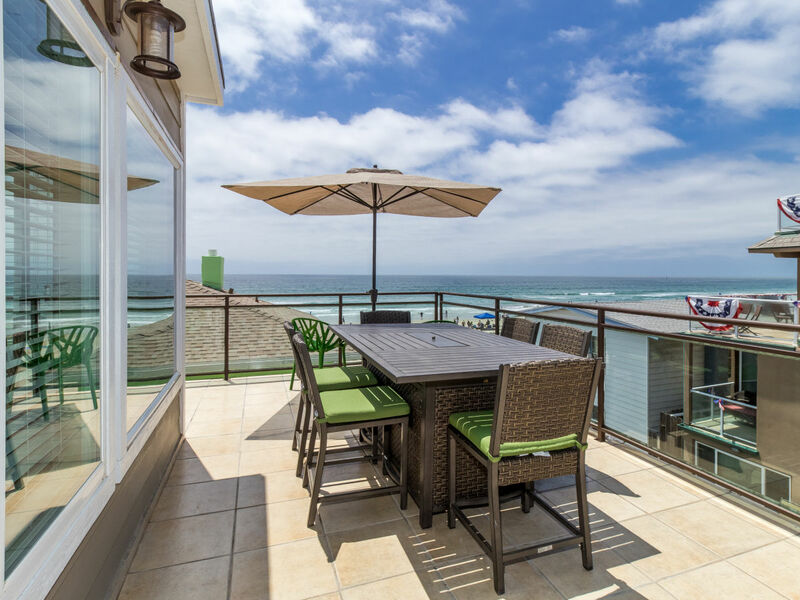 There is a private balcony, with table and chairs with views into La Jolla and Point Loma. 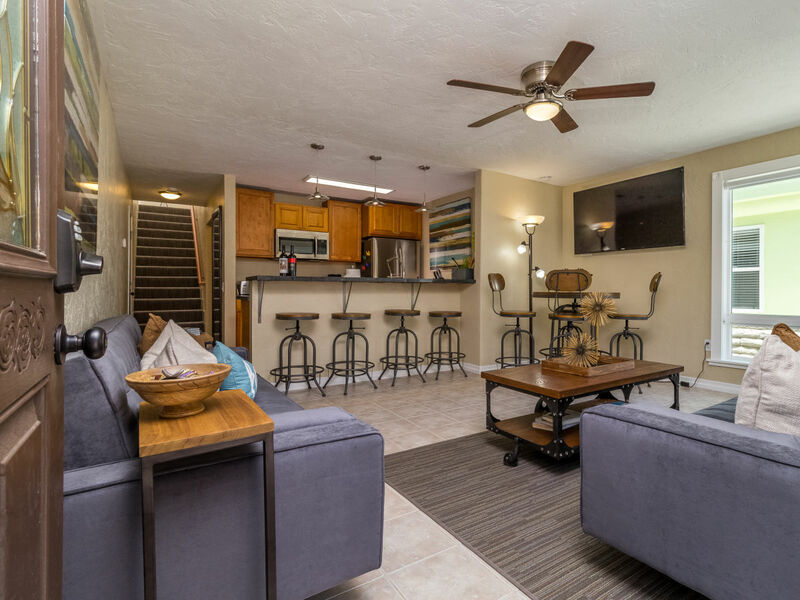 The duplex offers multiple communal areas, decks, patio and areas for gathering. 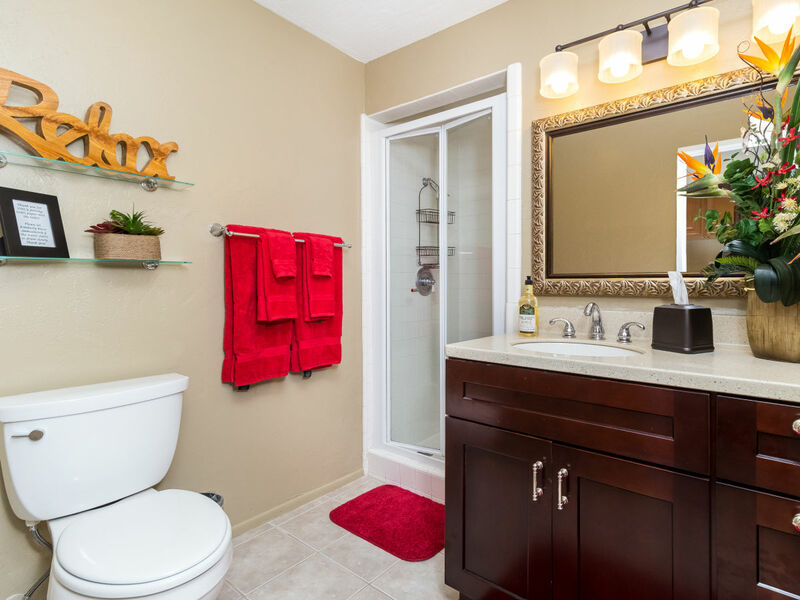 You will love the convenience of the keyless-code locks so you don't need to worry about keys! 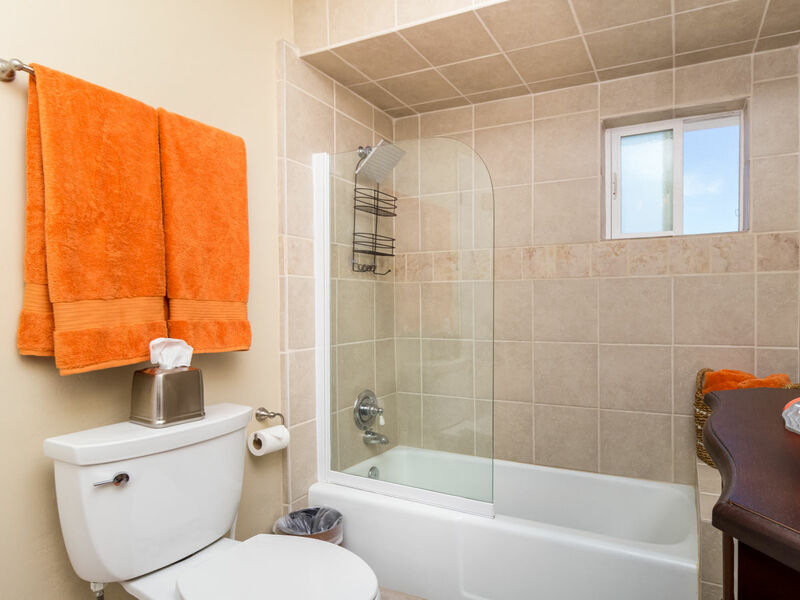 The property is well stocked with everything you could possibly need - plenty of towels, dinnerware, glasses, and cooking utensils as well as supplies. 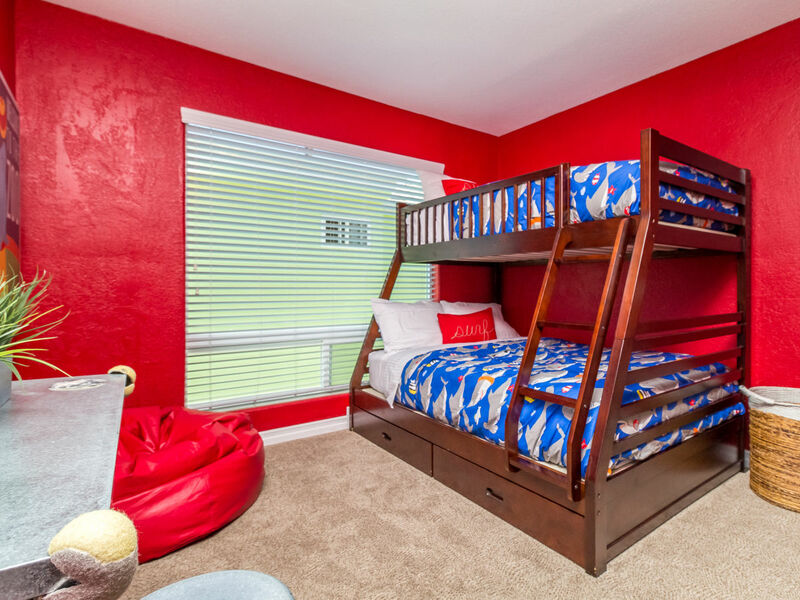 Each unit offers a pack-n-play, high chair, games and toys for the kids. 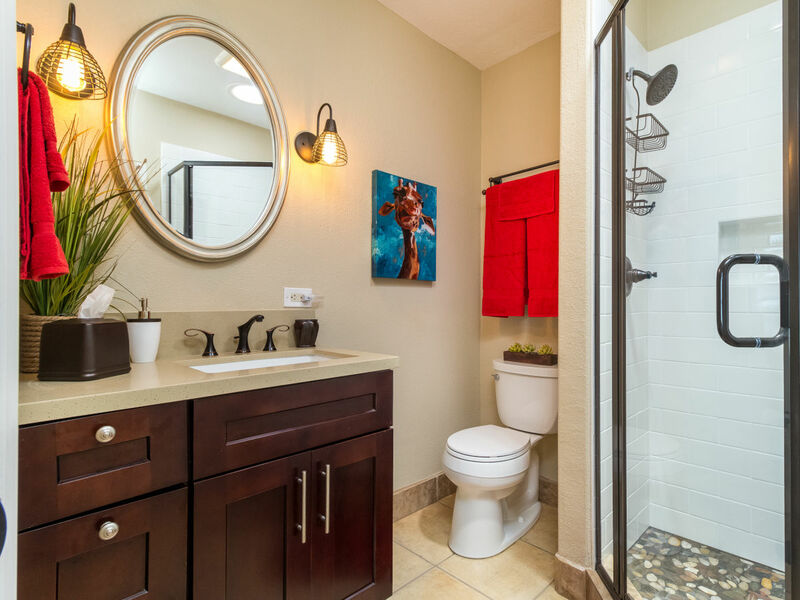 Property also has high speed internet and cable television. - There are miles of boardwalk for biking, running, walking and skating.